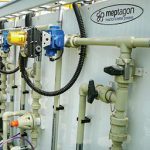 Meptagon’s engineering division is well known for its ability to design complete process systems, all the while paying attention to the smallest details. We commence the process by carefully studying the client’s requirements, expectations, limitations, problems and challenges. After our engineers collect all the relevant technical and operational information such as plant description, required production capacity, safety and environmental emissions, we are ready to start with the design. 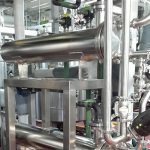 Our team consists of mechanical, chemical, electrical and process engineers together with CAD, SCADA, security, equipment, piping and field engineers. Our designers take advantage of being a Design & Build company to consult with the installation managers and execution team leaders in order to improve the design, not only from the process point of view, but also from the perspective of ease of installation and maintenance. PFD: Process Flow Diagrams to indicate the general flow and main components of the plant. Heat & Mass balances: To estimates energy and conversion costs, representing each process stream (stream table) on the corresponding PFD. P&ID: Piping & Instrumentation Diagram shows the piping of the process flow together with the installed equipment and instrumentation, indicating information such as diameter of piping, material of construction, insulation and type of valves and instruments. Data sheets: Tables summarizing the technical characteristics of each piece of equipment including valves, pumps, motors and instruments, as shown on the P&ID. SOO: Sequence Of Operation: Sometimes called SOD (System Operation Description). The SOO describes in great detail how the system should work, step by step, in each mode of operation during start-up, production and shut down. The SOO determine set points, ranges and alarms lists. I/O List: Containing table of all actuated valves, sensor transmitters, engines, pumps, blowers and dumpers which serve as an input or output of the control system. The SOO together with the I/O list serve the control and programming department, which is part of our engineering division. 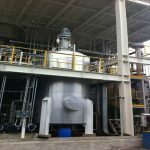 Equipment Lay out: shows the overall footprint of plant, describes the precise location of equipment such as tanks, heat exchangers, pumps, boilers, distillation columns, etc. 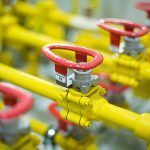 Piping Lay Out: Shows the top view of piping routes and cross sections, as well as equipment and piping levels and views. 3D model: shows a 3 dimensional overview of the plant. Isometric drawings: Each pipe section gets a single detailed drawing ready for fabrication. BOQ: Bill Of Quantities for equipment, piping, valves and instruments. Meptagon Group provides a one stop shop for industry’s needs and integrated project services. We execute multi-disciplinary turnkey projects worldwide, through our five divisions: Management , Design & Engineering, Contracting, Agencies, Subsidiaries.